Captain Jimmy called in with this report for the Becky Ann. "I had 5 Anglers on the boat, we got limits for all 5 Anglers. Early limits of nice quality Rockfish. "We have some openings for fishing on Monday & Tuesday if you are interested. 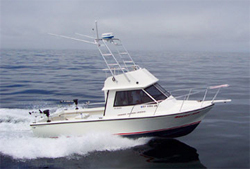 We will be targeting Rockfish, Halibut & Lingcod. If you want to go out on the Becky Ann with Capt. Jimmy call 831-662-3020."